LEON ZABAVA | PLEA SANTON EXPRE SS Mike Lambaria, veteran’s service officer is seen as he presented a framed certificate to Representative Ryan Guillen. Also standing are Congressman Henry Cuellar and Senator Carlos Uresti, both also received framed certificates. Seated from left, are Bill McLemore, Veterans Land Board, executive secretary; Theresea Cruz, Commander, American Legion Post 436 and Gary Lee, Texas Veterans Commission Healthcare Initiative Advocate. 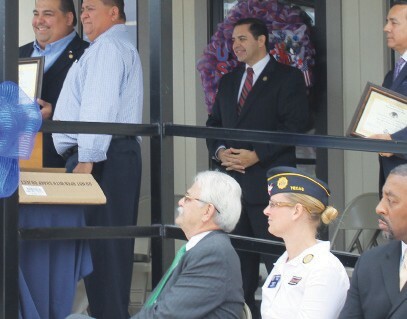 On Tuesday, November 24, the Atascosa County Veterans Service Office held its grand opening. 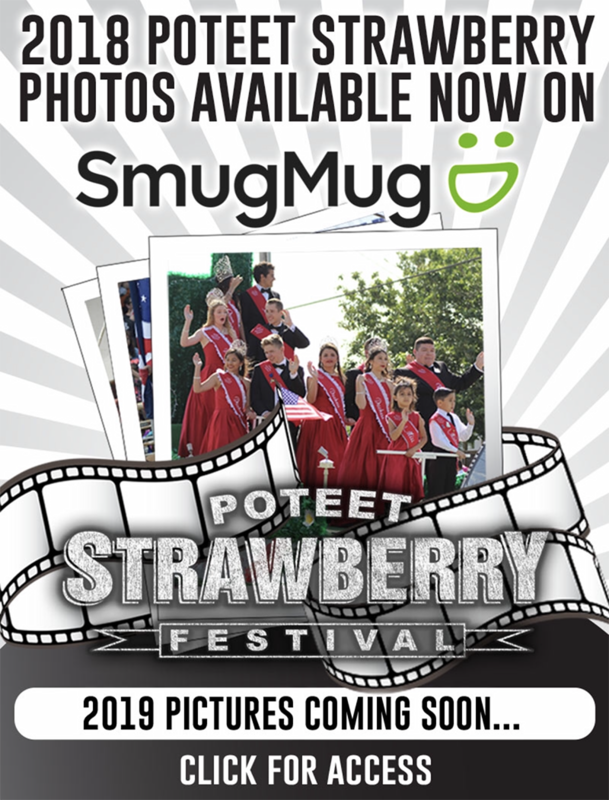 The new facility is just east of the courthouse at 818 Main Street in Jourdanton. After presenting of the colors by Atascosa County VFW Post 6970, there was an opening prayer by Chaplain Joe Vela. Atascosa County Judge Bob Hurley welcomed the crowd and introduced commissioners and Atascosa County staff attending the event. Appearing at the opening were several state representatives who serve this area. They were Congressman Henry Cuellar, Senator Carlos Uresti and Representative Ryan Guillen. Each spoke along with other various dignitaries. Congressman Cuellar spoke, followed by Senator Uresti and then, Representative Guillen. Mike Lambaria, veteran’s service officer for Atascosa County addressed the crowd followed by a speech by Theresea Cruz, American Legion Post 436 Commander. Mike Lambaria then introduced Texas Veteran’s Commission Healthcare Initiative Advocate Gary Lee, who addressed the crowd. Kirk Hill, Supervisory Veterans Service Representative, Department of Veterans Affairs then addressed the gathering. Following closing comments by Mike Lambaria and grace led by Chaplain Vela, lunch was served. Opening of the new veteran’s facility is a plus for this area. It gives a place where veterans can seek veterans services without having to go into the courthouse. This is more convenient for veterans. In an interview with Judge Bob Hurley, he said, “The County Veteran’s Service Office works daily for Atascosa Veterans’ needs, including but not limited to – disability claims, medical claims, transportation to the VA for medical needs, state veteran’s land purchase efforts and much more. It serves Atascosa and McMullen County veterans and their families. On November 24th Atascosa County held the grand opening for its very own Veterans Service Office in Jourdanton, just a few yards from the courthouse. It has a sitting area where veterans can be comfortable and watch satellite tv. It ‘IS’ the veterans building and we want to continue that service attitude toward those who gave of the years of their lives and, also, for some their medical and mental well-being so we can live free. Atascosa County Auditor Ray Samson said, “The Atascosa County Veteran Service Office helps veterans residing in Atascosa and McMullen counties obtain benefits for military service. The office also helps surviving spouses obtain benefits for having been married to a veteran. “The County provides this service because many of our veterans have significant problems. Most are health related. Typically, they don’t know how or whom to contact about obtaining benefits. Many don’t even know what benefits are available. It is to this end that the County Judge and Commissioners have budgeted this office-to help our veterans. “The office has two vans for transporting veterans to San Antonio for medical treatment.McMullen County provides one van and Atascosa County the other. • help with disability payments for service connected disabilities to include: obtaining records from the VA, help making an initial claim, follow-up on a claim, requesting an increase in benefit payments because of a change in health or circumstances, and assistance in denied claims. • transportation by van to and from the Audie L. Murphy Memorial VA Hospital and Frank Tejeda VA Outpatient Clinic in San Antonio for medical treatment. • help with posttraumatic stress disorder symptoms (PTSD) to include counseling and treatment at VA facilities. An area of concern for the staff are veterans considering suicide. • help with burial benefits for veterans and their spouses (the VA will bury both a veteran and his spouse). • help with surviving widow benefits. The VA has a program that provides financial help for qualified surviving spouses that require assistance in daily living. This means that the VA may pay part of a nursing home’s cost for a surviving widow. • help with obtaining medals for service. Mike Lambaria, veteran’s service officer, said, “I want to show my appreciation to those involved in our new building. They were Commissioners Lonnie Gillespie, Bill Carroll and Freddie Ogden; also Judge Bob Hurley and Auditor Ray Samson. Also thanks go out to Wade Hodgin and South Trust Bank for furniture in the building and moving of the building to its present location. Also, thanks to Barbara Martinez for all the decorations. “Thanks to those who helped with the Grand opening: Jeanne Isreal, Elizabeth Branson, Stephanie Pino, Judge Hurley, HEB, Sonic, D.A.R (Daughters of the American Revolution), Atascosa County Historical Committee – Barbara Westbrook; Theresea Cruz and the American Legion, Texas Veteran Center and the Atascosa county VFW 6970 Color Guard. Mike also commented, “ I would like to thank Elizabeth Branson and Samantha Garcia for coordinating the function of the Grand Opening . Elizabeth worked approximately 3 weeks to get this off the ground and running.